Author’s disclosure: Occasionally HOMER Energy pays me to get the word out about their company and that is the case with this story. The local NREL spinoff develops software that allows rapid design and cost comparisons of hybrid renewable microgrids. Originally created to model microgrids for remote villages in developing countries, HOMER Energy software now attracts interest from island governments, the US military, municipalities and large corporations looking for the flexibility to operate on or off-grid. The energy paradigm is starting to shift, and this Boulder start-up is an important part of the solution. On March 13, 2014, the Wall Street Journal ran a story describing how a strategically placed attack on a few substations—in each of the three major US regional electric grids—could take down the entire US electric system. Even worse, the blackout could last for months, because our electric system depends on large transformers, some of which are only manufactured in foreign countries. Publication of this story, which was based on a “sensitive” internal memo from the Federal Energy Regulatory Commission (FERC), is continuing to create a ruckus weeks later. Now, the US Senate is getting into the act with Senators Mary Landrieu (D-La.) and Lisa Murkowski (R-Alaska),leaders of the Senate Energy and Natural Resources Committee, demanding that the Department of Energy’s (DOE) inspector general investigate how the study was leaked and what the consequences might be. FERC took the unusual step of criticizing the Wall Street Journal publicly for doing the story, and acting FERC Chairperson Cheryl LaFleur appeared on the TV talk show circuit recently to insist “the sky is not falling.” Meanwhile, FERC has ordered utilities and other federal agencies to propose policies that would improve the physical security of the electric grid. Judging from these responses, the Washington reaction to the proposition that the US grid is outdated and insecure is to shoot the messenger. 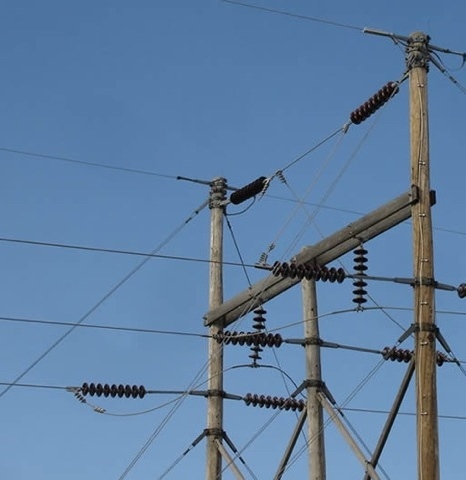 And granted, FERC is skittish about sabotage following a strange incident in San Jose, California last fall in which a group of sharpshooters disabled a substation by unleashing a hail of bullets at the transformers. The culprits have never been found, and no motive for their actions has been established. Perhaps, speculated former FERC chairman John Wellinghoff, it was a dry run for some larger attack in the future? But, when we will start talking about the technical vulnerabilities of our century-old electric system? Maybe these are even more dangerous? According to Peter Lilienthal, CEO of Boulder-based HOMER Energy, critical security challenges lie in the age and configuration of the US grid, not just its exposure to human attack. Instead of focusing on military-style security measures such as high walls and armed guards, Lilienthal says utilities should be thinking about increasing security by incorporating more distributed energy, particularly when configured as microgrids with solar and storage. Instead, utilities around the country are doing the opposite, fighting the rapid growth of distributed energy which, unless new utility business models are developed, threatens to reduce their sales and erode profits. They are trying to roll back net metering policies, restrict the growth rate of rooftop solar, and paint solar as “unfair” cost-shifting for customers who have not had the chance to invest in it yet. Utilities do, however, seem to be more enthusiastic about utility-scale solar which fits the old paradigm of centrally-produced power fed out to customers through a massive interconnected grid system. On the other hand, microgrids can add redundancy and diversity, hallmarks of healthy ecosystems, and thus make the current grid security concerns obsolete. An attack on a single microgrid could be isolated rather than causing the massive chain reaction outages that we’ve seen in famous recent blackouts. They can also make it easier for utilities to incorporate more renewable energy by balancing multiple microgrids against each other in a larger system, and balancing energy use within a single microgrid using storage and other technologies. Lilienthal says that new technologies are available for microgrids that improve reliability, not just within the microgrid itself, but also by providing ancillary services, such as frequency regulation, voltage support, and reserve capacity to the central grid. HOMER Energy currently creates software for designing microgrids that combine renewable energy, storage and conventional fuels. The software can calculate tradeoffs between different renewable technologies as well as the cost impact of changing fuel prices and other variables. Right now, the HOMER software is ideal for areas with high energy costs, or reliability or environmental requirements. These areas include islands, remote communities with no grid access or unstable grid options, and industrial outposts such as mines. Just recently HOMER Energy worked with Richard Branson to design a hybrid renewable microgrid for his Caribbean island. Branson, who founded the Carbon War Room to tackle climate change, wants Necker Island to model clean energy solutions that will help fuel-dependent island economies. HOMER Energy is also working with the US Marine Corps to design customized software to make it fast and easy to design microgrids for forward operating bases. Reducing fuel use will save lives since fuel convoys are one of the riskiest military operations. In addition to saving lives, hybrid renewable microgrids will enable more nimble military operations and provide substantial financial savings for the Marines. And what’s most relevant to us here in Boulder is that a team of engineers used the HOMER software to model different energy scenarios for a potential municipal utility. They calculated the carbon reductions, costs and performance of various combinations of energy resources for the City of Boulder. How much wind should be part of the mix and how much solar? While the HOMER software was intended to model only a general overview, it appears that Boulder would be able to increase the percentage of renewables in its energy portfolio substantially without significant changes in cost. The HOMER software works by taking thousands of possible resource combinations—such as solar panels, wind turbines, fuel cells, batteries and diesel engines, their prices and performance characteristics—and running complex comparative calculations in seconds. 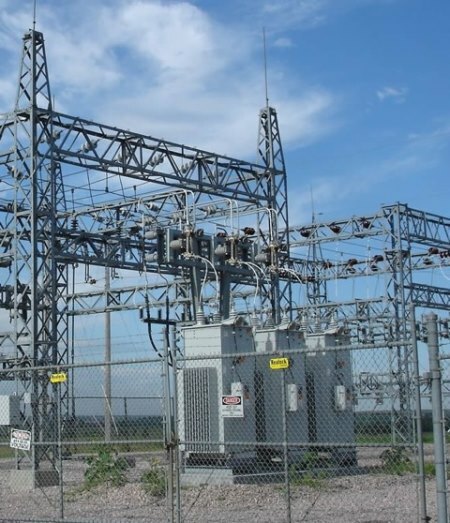 Lilienthal says, “The experience gained from designing off-grid systems for remote areas will be critical for widespread adoption of microgrids in the US.” Remote microgrids are pioneering critical smart grid and power control technologies and providing a test bed for new distributed energy equipment. And already, on the US mainland, campuses, communities, and major corporations are using the HOMER Energy software to help them develop microgrids as a means of reducing their electricity costs and ensuring electric service during catastrophic weather events such as hurricane Sandy. Microgrids will definitely be central to the new energy paradigm, and the City of Boulder just may be a pioneer in using them.